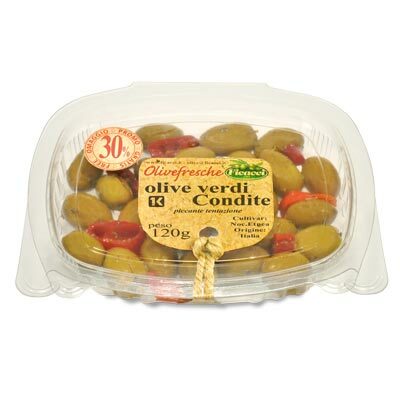 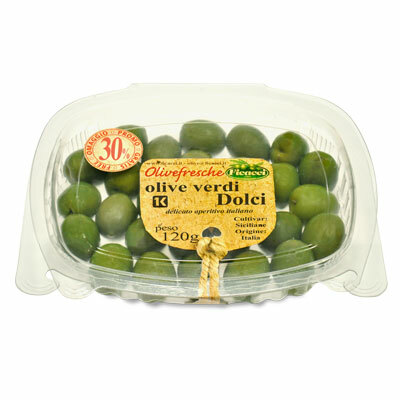 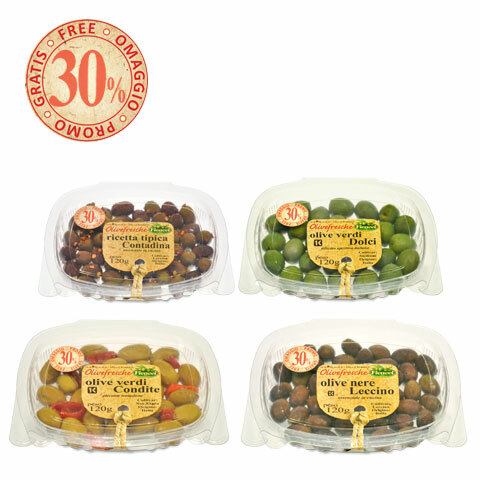 olivein vaschette da 100g marinateolives in 100g trays marinated - Ficacci Olive Co.
A brand new line has been added to Ficacci’s range, a new 100g takeaway tub.The new package is pre-packed, heat-sealed in modified atmosphere, without brine and with a shelf life of 4 months. 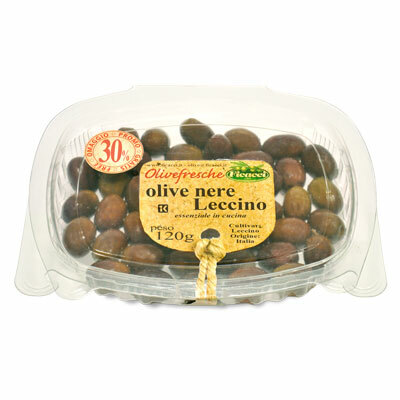 Four exclusively Italian Cultivars, Natural Leccino, Sweet Nocellara Castelvetrano, Spicy Nocellara Etnea and Spicy Leccino that will enable customers to enjoy the real taste of Italian excellence. 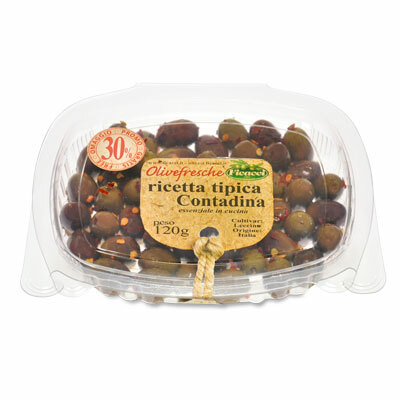 Only the biggest and most daunting olives get selected directly by Ficacci, pleasing even the most demanding Gourmet palate.